For over 30 years, the Colorado Springs attorneys at the Shakeshaft-Gorman Law Firm, LLP have been dedicated to representing injured people, advocating their rights and helping them recover financially. Skilled at standing up to insurers, large corporations and government entities alike, our lawyers are here to help our clients navigate the complexities of the legal system so they are able to obtain the compensation they deserve. 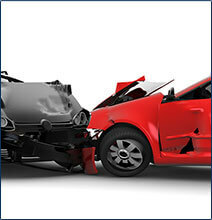 Colorado Springs personal injury lawyers who care & can help you! Do what it takes to bring your case to a successful resolution so you can focus on your recovery and future. 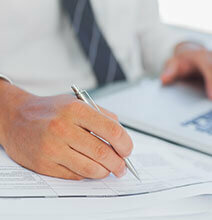 The following are some of the specific types of cases that we are skilled at successfully resolving. More than 90 percent of motor vehicle accidents are caused by some type of human error, with driver negligence being a common factor in these cases. When any type of negligent or reckless behavior contributes to motor vehicle accidents and injuries, our Colorado Springs lawyers will be ready to stand up for injured people’s rights to compensation. When any type of negligence, carelessness or recklessness causes debilitating injuries, injured people may have a right to compensation. At Shakeshaft-Gorman Law Firm, LLP, our Colorado Springs personal injury lawyers have been successfully representing injured people and helping them hold negligent parties accountable for more than 30 years. Post-traumatic stress disorder (PTSD) cases. For families who may have lost a loved one to any negligence-related fatal injuries, our lawyers will be here for them, ready to help them obtain the compensation they deserve so they can properly put their loved ones to rest. 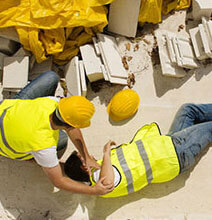 Workplace injuries can be as physically devastating as they may be financially and emotionally stressful. What may compound people’s stresses after sustaining a workplace injury is having to deal with a complicated workers’ compensation system in order to obtain the benefits they need to pay for essential medical care. The good news for these people is that our Colorado Springs attorneys are here for them, ready to help them defend their rights so that they can secure the benefits to which they are entitled. Insurers will try to find reasons to undervalue or even deny long-term disability claims to limit their payouts and protect their own profits. Having our Colorado Springs lawyers on your side will be critical to obtaining the full amount of the benefits you deserve. In the event that people’s LTD claims have been denied, these individuals can also turn to a lawyer at the Shakeshaft-Gorman Law Firm, LLP for assistance mounting a successful appeal. Carbon monoxide poisoning, a serious injury that can be fatal, is often linked to the negligence of some other party. In fact, while some cases of carbon monoxide poisoning may arise because building owners or landlords fail to properly maintain their properties, in other cases, this serious injury can be caused by dangerous or defective products. 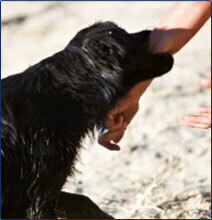 Obtain the compensation to which they are entitled. The bottom line is that, after you sustain any injury, we will be here for you, and we will work relentlessly to help you secure the maximum possible compensation for your injuries and losses. Let’s meet to discuss your case and your rights. You can schedule a free initial consultation with us by calling (719) 635-5886 or (800) 383-5886. You can also email us using the contact form on this page. We don’t get paid unless or until you get paid, so you have nothing to lose and everything to gain by contacting us today. From offices in Colorado Springs and Denver, we serve people throughout the state of Colorado.
" I was impressed and assured by the level of competence of the firm. 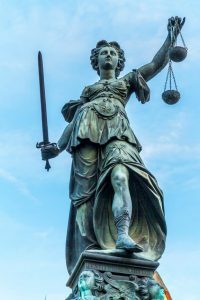 They had the ability of making me feel as though I was part of a "team" - maintaining both a personal and professional relationship during the legal process. I have already recommended Shakeshaft-Gorman Law Firm, LLP to others and I will continue to do so! " " I felt as if I was doing business with a longtime family friend. I was very satisfied. I was treated with concern and respect the whole way through my case. This firm is very professional, yet not impersonal. " " I was kept informed of the proceedings and my rights throughout my case. I felt I had the ability to discuss my case and contact my attorney at my convenience. I would say my experience was very pleasant and successful! " " All my questions were answered and I was informed of all things related to my case. So glad we were successful! Thank you for the help during this tough time! I already have referred others to Shakeshaft and Gorman Law Firm! " " I recommend Ken to anyone that says they've been in an accident - even when they already have an attorney! I was extremely satisfied with the Shakeshaft team because they do what is best for you, not their pocket. Shakeshaft-Gorman Law Firm, LLP does an excellent job and I wouldn't go anywhere else. I only refer them to my clients, friends and family. They have always been there when I needed them. "